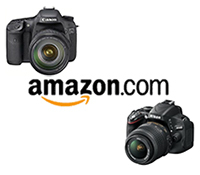 Canon has just announced a new model in their Rebel lineup of digital SLRs, the T2i or 550D. I encourage anyone who is just entering into digital SLR photography to have a look at my previous post Why You Shouldn’t Buy the Kit Lens before you simply buy the T2i kit without considering another lens that may be a better choice for you and your photography. Also, have a look at my post comparing several of the Canon dSLR cameras, including information about the 550D / T2i.